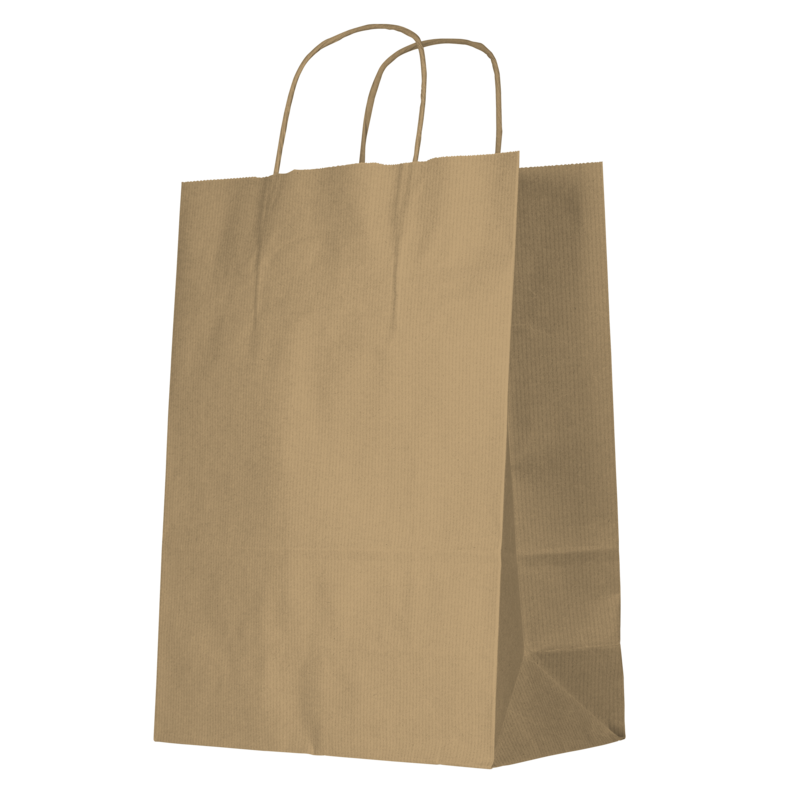 What are Kraft paper bags (with rib)? For the delivery of your kraft paper bags (with rib) we use multiple carriers. Because of the highest reliability, in most cases we use UPS or DPD. Are Kraft paper bags (with rib) water proof? No Kraft paper bags (with rib) are not water proof. Water or rain can affect or damage the product. Of what material are the Kraft paper bags (with rib) made? Try something different with Helloprint's Kraft Paper Bags! With sturdy twisted handles, print your logo on one or two sides in up to 3 colours! These eco-friendly bags are a worthy replacement to plastic bags and can be used for light shopping, or gifts and goodie-bags at trade shows. Order now for a practical option that will catch the eye and reinforce your brand's visibility wherever they go!